Not long ago Iraq suffers from a defect in its economic structure and reflects the extent of the country's departure from the development approach that ensures sound economic construction, in addition to the emergence of many economic and social problems such as high rates of unemployment and inflation and high levels of poverty, in addition to many of the problems left behind by this The structural imbalance, which can be attributed to several factors, most notably the dominance of the public sector on the economic and development process during the previous decades and neglect of the private sector, which led eventually to the atrophy of special economic activities and lack of identity, Gradually becoming a small subsidiary of the public sector. That the dominance of one of the sectors, both public and private in the sphere of influence on economic activity is a problem of an international nature and does not concern the country without the other, we find that some countries failed in government interventions in economic activity through the public sector such as Iraq in the seventies and eighties of the last century and others Many of the functions with a socialist approach, and at other times we find that other countries fail to apply the mechanism of the free market through the private sector only in the management of economic activity, as in the case of many capitalist countries in the period leading up to the Great Depression in 1929, which led to the establishment The idea of ​​necessity For the direct intervention of the State in certain economic aspects of a general nature. The economic path of Iraq before 2003 indicates the weakness of the private sector and its inability to contribute effectively in supporting the development process and creating a state of economic equilibrium between it and the public sector. This is due in part to the nature of socialist thought of the political system that prevailed for a period Long, in addition to a set of laws and legislation of nationalization, which restricted the private sector and cable and prevented him from the role of development. In spite of the disparities and differences in the rates of government intervention according to the period of time that passed from the middle of the twentieth century, the stated objective was always to stimulate the national economy within the philosophy of public ownership of factors of production, which ensures the control and guidance of the state development process of the country. Paradoxically, the results have often been far from this. The overwhelming support of the public sector and the weakening of the private sector have led to many negative results that have taken the country away from the desired economic and social development trajectory. The marginalization of profitability and the real return of many government projects under the pretext of achieving public benefit to end the situation in the public sector to high levels of slack career and many distortions in the production system and high economic costs, resulting in a decrease in the volume of revenue achieved on Capital invested in the public sector enterprises. This situation has been repeated in most sectors of the public sector, such as the industrial, agricultural, financial, banking and foreign trade sectors. The weakness of the private sector has increased the state's control over all oil imports through the insurance process. And the growing feeling in the state for a long time that there is no benefit from the support and development of the private sector with what can be an incentive and a motivation to reject or at least discuss and debate government decisions that were oriented towards exclusivity and centralization in previous contracts. The change in 2003 brought many new ideas in the economic approach (even in terms of theory). 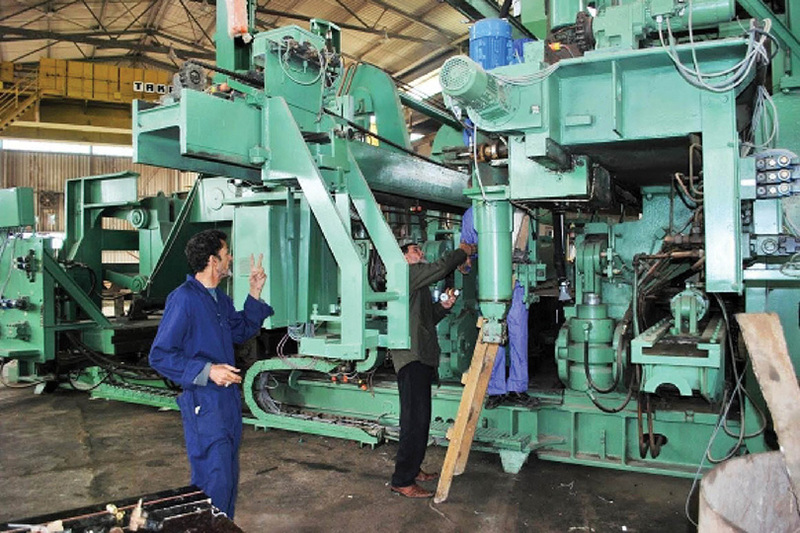 The voices of many experts, researchers and those interested in the economic and developmental affairs of Iraq have become important to involve the private sector in the development process and restore balance to the economic structure of the country. On the one hand, and successive failures of the approach of rent in the management of the economic file adopted by successive governments on the other hand, with an important and substantial factor is the modest experience and efficiency of political and economic decision-makers who have punished the management of the country in his years brother Yara. In addition to the social divisions and subsequent negative results on the level of security of the country, but things have become more complicated in the case of financial and administrative corruption, which spread within the corridors of the state and led to waste of public money without achieving any actual results on the reality of living, Iraq has been spending its time in a sea of ​​economic, political and even social crises without seeing the light of survival at the end of the bitter tunnel. A slave who lives. These factors, combined with other factors, have led to weak government resources and inability to carry out the development process on their own. Therefore, we need to rely on the private sector as a major support for the local economy through which to overcome past negatives. Achieving public benefit away from the profitability objectives, leaving the rest of the development projects to the private sector, which will enter as a partner of the public sector and a contract is agreed on form and form to carry out and implement the rest of the strategic projects, Iss in the implementation and execution of government projects that are often lost and negative or irrelevant. • Establishment of an independent body linked to the Council of Ministers to coordinate with the government to coordinate with the private sector to ensure the establishment and success of partnership with the public sector. • Redrawing the trade policy of the government to serve the national industry while controlling the import process and putting an end to the policy of dumping goods and the open door of the foreign product. • To work on building a sound investment environment, encouraging and attractive capital through redrafting the legal, legislative and financing aspects to serve this trend. • Work on developing the banking system and creating a financial environment that facilitates the financing and lending process, while speeding up the delivery and delivery of more banking services. • Emphasize the development of the program to attract the scientific and immigrant experts and capital, and support their participation to submit their bids and experiences in the construction and development. • End financial and administrative corruption in the state apparatus and facilitate the work of private sector institutions to issue new laws, remove routine complications and improve private sector access to state funding and support. • Work on building a public culture that believes in the importance of the private sector and its role in the development process by focusing on schools, institutes and colleges in the statement of the importance of private work and its competition for the government job in building a future for youth.